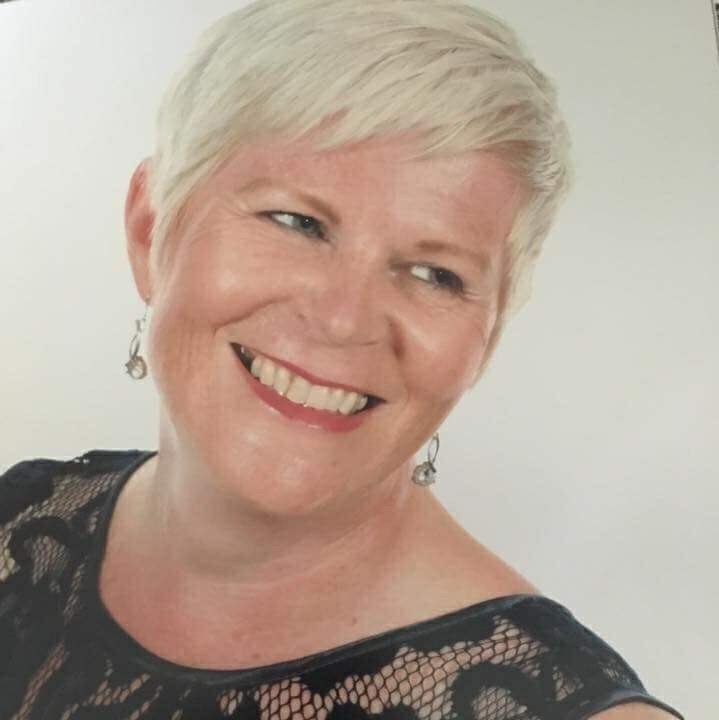 “This was the nudge I needed to so something so I looked at the DipSW, but was asked to do something else first to get experience and show I could study. 1992-1995 I studied for and gained an Honour’s degree in applied Social Science and had a wide range of knowledge and experience as I also got a job as a part time Development Officer in a voluntary sector youth organisation. I did this 14 hours a week whilst I was doing my degree. I covered a quarter of the East Riding supporting voluntary youth clubs. My boss at the time wanted me to undertake youth work training. So, whilst I studied for my degree I worked 14 hours a week as well as undertaking a certificate part time in youth and community work. I was also looking after my three children on my own as I was in the middle of a divorce. And got no practical or monetary support from my ex. 1995 - I finished my degree. It was five years training and education from the age of 32. Although it was a disappointment not getting into social work I was able to apply the knowledge and experience gained during this time." “I did a Home Office research project on drug use in a rural area. My role as an action researcher employed by ERYC in partnership with Hull University was getting information from young people, the parents and professionals. The Home Office wanted a questionnaire, but I had heard of Participatory Appraisal training (PA) and didn’t feel that questionnaires was the best tool to use to get the research required. PA provided a tool to getting good quality information from people. I did the training and used the tools for the whole of the research. One other person was employed to do the background/book research to support the evidence gathered. I worked with the police to develop a piece of work which involved the police using participatory tools to work on time lines with the public and professionals on how they could recognise and deal with issues in the community. Between us we wrote a research paper for the Home Office and they recommended to all Police Authorities that they take up the practice of working using a participatory way approaches as it was very successful. “Next job was with a voluntary sector homeless organisation for three months, I did not stay long as it was an unsafe place to work in. I was supposed to work on building life skills and with the aim of enabling the residents to move on to independent living. Unfortunately, there was insufficient staff and resources, so It was ‘firefighting’ and domestics work. I did manage to change some of the unsafe practice that had been going on in that time and helped them develop some new policies and practices that safeguarded residents and staff. I had been offered a job with the education team at East Riding of Yorkshire Council (ERYC) gathering educational material for use in schools and youth clubs. I was offered this job as a job share, but turned it down. It was a stupid mistake of mine, which I regretted but the person who l would have job shared this work with had different views to me. I would have used active participatory methods, but he was very ‘old school ‘. I then got a job with MIND for two years as a Housing Officer. This was again with the aim of trying to move people on and build their skills. But I got frustrated as I studied Care in the Community in depth and could see in practice, that didn’t work. It was like a revolving door, people were supported to build skills and move on to independent living but through lack of support in the community they would either come back into the hostel environment if spaces were available or in some cases they ended up in prison. They just could not cope in the community without the everyday support and guidance”. In the second year of MIND, I got a part time secondment to Hull College collating research on education provision for adults with a learning disability. “After MIND, I got a Development job at the Cherry Tree Centre, Beverley. I quickly went on to be the Manager there. The original scope of the job was signposting on health/social issues. My role was to sign post people to organisations/groups that could help them with their issues/problems. But I soon found that there were a number of issues of which there was no service/organisation available for the team to sign post to. I managed to get some funding from NHS (Jo Stott) to do some research and again used participatory tools. As a result of this, I got funding to develop three different areas of health and social care. Already, domestic violence was a big issue in the east Riding and not really addressed. There was no recognition of the problems and no service provision. I co-ordinated a forum for professionals to come together to look at the issues and helped set up service provision and clear lines of signposting. Initially myself and another member of the team provided hand holding support until we managed to work together to get a funding package for a worker. I stayed as the Forum Chair for a few years, helping to develop provision for support and accommodation and for victims of domestic violence. This is still in place (2017) and funded by the local authority and covers the whole of the East Riding." "A weekly drop-in for women of domestic violence situations providing support and practical training to build their confidence and help them move on and build new lives. This included group support. One to ones, training in self-defence and financial skills. A health drop-in also emerged for young people. The young people would come into the Cherry Tree Centre for information and the idea was that we signposted them to the relevant service. But, they had different ideas and wanted a drop- in where they could come on a weekly basis. We let them help dictate the agenda and we developed workshops for them geared around topics they thought important. This involved us delivering sessions ourselves or bringing in the services who had the expertise or knowledge. A Drop-in for older people developed with the venue a shop on the estate refurbished as a café and drop-in. This was run by local volunteers on a weekly basis”. “I also helped develop a leisure library for people with learning disabilities. This was done in a partnership with the local authority (ERYC), and some volunteers. I managed to get B&Q to refurbish the room (materials) and their volunteers did it up. I submitted a successful bid to the Lottery for appropriate equipment which could be loaned out. It was manned by volunteers and people with learning disabilities until the venue closed as part of demolition by ERYC. I managed to get B&Q to refurbish the room (materials) and volunteers did it up. I submitted a successful bid to Lottery." "I resurrected a youth group at the centre which had disbanded some time ago but was still very much needed. It had been not been run in a very professional way, although the volunteers meant well but it was unsustainable and children who had behavioural issues were being sold snacks that further exacerbated this. I provided the main support initially as I had a youth work background and one of the girls who had come to be because of domestic violence issues came along as a volunteer. I managed to get funding from a local business to provide health snacks and between us we made and bought healthy options for them to choose from. Some of the young people told us they had refused their crisp sandwich tea at home to come and have our Tuna and jacket potato or bolognaise. I had approached a local business in the area who were willing to provide funding for the foods purchased every week. The idea of the snacks became the provision of a healthy meal. “Then, as part of that job at Cherry Tree I did my City and Guilds Adult Teaching certificate qualification and there I met Nicky Gelder from Hull, DOC, who encouraged me to apply for a job at DOC. I liked what I saw. This was the time when the second round of SRB (Single regeneration) monies was being awarded. So, I then went to work for DOC for five years 2001 to 2006 I worked on the Sculcoates, Bricknell projects and was instrumental in the research and bringing together of groups to develop the Community Enterprise Centre. Our team had identified and brought together ethnic groups who lacked somewhere to meet. I was approached by the housing developer who offered the Enterprise building of which we then put together an ERDF bid to develop it. I was also involved in Gypsy and Traveller work at DOC, managing that and helping to develop it and get funding for it from Hull City Council. There was also a health project again funded by Hull City council. We also employed/were involved in the employment of Muslim women and Paddy one of the development workers on the team helped develop work with Asylum Seekers/refugees. A drop-in centre was developed on Spring bank to provide ongoing support with Asylum Seekers and refugees. I helped set up an equalities and diversity forum. HEREN- Hull and East Riding Equalities Network with Hull Community Network and a number of other organisations/groups. This was a big piece of work and provided good quality training, and research on what was available locally. I was involved in delivering/chairing quarterly forums and inviting guest experts to deliver some of the agenda around equalities and diversity. I was also involved in managing a history project around Sculcoates area. We got funding for a book which reflects the history of the area. “2006- East Riding of Yorkshire Council (ERYC). 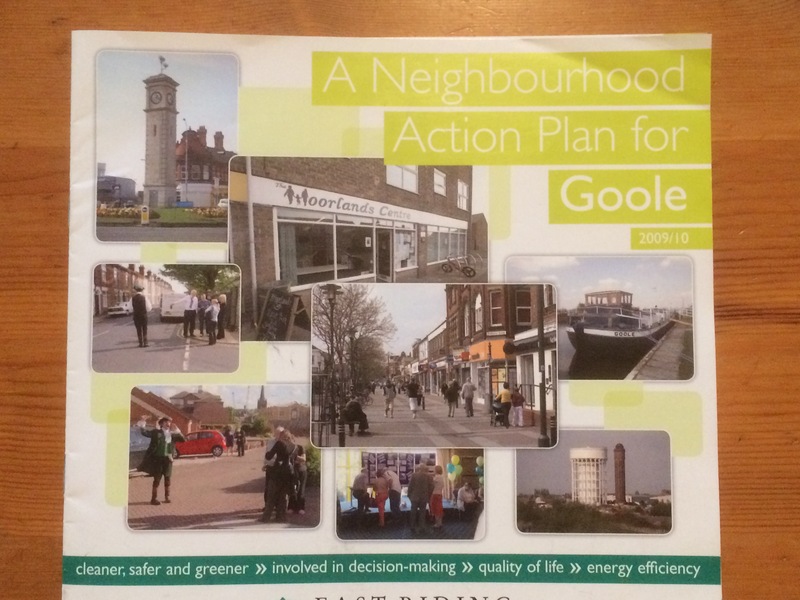 I moved to another job with the Council managing a two-year Neighbourhood Management contract in Bridlington and Goole. I managed Planning for Real and Participatory Appraisal (PA). I was getting the local authority to think outside of the box and to work in a different way. This was SRB funded. (Single regeneration Budget). It was then matched with ERDF (European Regional Development Fund). That funding combination was a nightmare to administer and monitor! We also developed Street Surgeries to enable local participation in the neighbourhood regeneration. We developed Voluntary and Community Sector (VCS) forums in each area, with other organisations to take forward all the improvements from the work done with the residents in Bridlington and Goole. This included access to and improvement to Council and other public/voluntary services; developing programmes and training for local people on a whole range of things, also looking at what was available in the East Riding. A database was developed. “Then the NATs (Neighbourhood Action Team) were merged with the LATs (Local Action Team) and the Neighbourhood Management Team and they became Community partnership teams. I became part of that and took on the role of manager. The role of street surgeries and Neighbourhood Management was adapted for rural areas as well other areas of good practice from the work that we did. It had the promise of offering parish Councils empowerment to work with local people/organisations and the Council as its partners. Unfortunately, the title of manager did not allow me the scope and opportunity to work with the team in a developmental way as had been written in the terms of reference. The regeneration team under which we were now managed, split the team up and they were managed by three different managers one of them also managing me. All the managers had different ways of working and they did not allow the officers the support required to enable them to develop any area of work or in fact liaise with the communities. I struggled with this as I could not get the staff to work together (some of them had easier line managers and therefore got any easier time of it than others) and I although had Manager as a job title, was not allowed to manage. Also, as the Community Partnerships were originally funded by other service providers, Health, Police, Fire service; as time went on and cutback were made the partners withdrew their commitment to funding and I believe to the partnership approach. The service could have worked with the partners commitment and also the commitment of the said managers!! I challenged this management approach until I was blue in the face, but it made no difference! I left due to ill health but believe that if we had not been hampered in the way we were then I would have stayed longer”.